4Uz. Dr., Yong Loo Lin School of Medicine, National University of Singapore, Retina, Singapore, Singapur Objective: Severe ocular trauma presenting with no light perception (NPL) typically has dismal prognosis, and suggests little success for further therapeutic intervention. The objective of our study was to analyse the characteristics and visual outcomes of severely-injured eyes presenting with NPL at a tertiary referral eye care centre in India. Methods: A retrospective cohort study was performed for all the patients with open globe injuries between January 2003 to December 2009. Medical records of patients with NPL were analysed. Patient demographics, risk factors for NPL, anatomical and visual outcome for the injured eyes was studied. 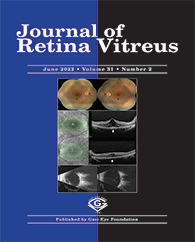 Results: Out of 4721 patients with ocular injuries, 285 patients (6.0%) with mean age of 38 ± 20.5 years had NPL visual acuity at presentation. 242 patients (84.9%) from this group did not have any surgery due to severe structural damage or extremely poor prognosis while 22 patients (7.7%) underwent non vision-salvaging surgeries. The remaining 21 patients (7.4%) had vision-salvaging surgeries. 3 (14.3%) out of 21 patients had improved vision with visual acuity of perception of light (PL), 6/36 and 6/12 compared to 2 (0.8%) out of 264 patients receiving non vision-salvaging treatment. Patients with posterior segment injuries and higher number of tissue injuries per person are less likely to be considered for vision-salvaging surgeries.